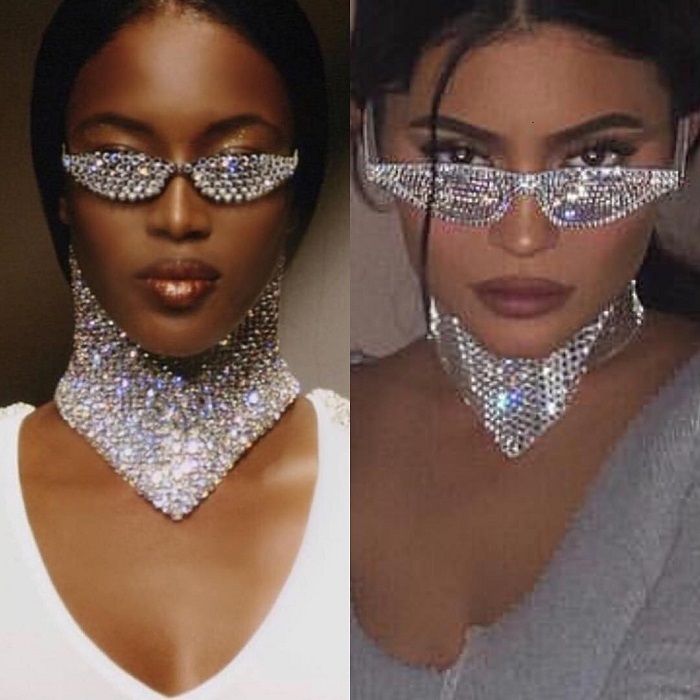 The youngest billionaire in the world, entrepreneur Kylie Jenner copied the style of the British supermodel Naomi Campbell, Pagesix reported. They published a collage of two photos, where the girls pose in the same accessories - wearing a gray ribbed coordinated set from The K Label ($195) consisting of an asymmetrical, ab-baring crop top and matching flared pants. She paired the look with Gianvito Rossi “Calabria” plexi and crystal-embellished heels ($815), glittering rhinestone-covered cat-eye sunglasses and a matching handkerchief-style rhinestone necklace by Michael NGO.